High Quality Content by WIKIPEDIA articles! High Quality Content by WIKIPEDIA articles! Brookfield Township is one of the fifteen townships of Noble County, Ohio, United States. The 2000 census found 119 people in the township. The most westerly township in Noble County, it is the only county township to border Morgan County. No municipalities are located in Brookfield Township. 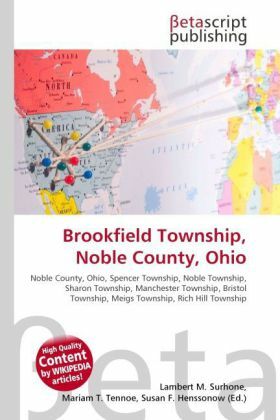 Statewide, the only other Brookfield Township is located in Trumbull County.